Music lovers looking for a fun vacation should head straight to Nashville, Tennessee, as it offers the perfect combination of present-day rock and roll and historic country music. Visitors will be treated to some of the greatest attractions, such as Nashville’s own Music City Center and downtown Nashville. Nashville’s newest boutique inn, the Germantown Inn combines historic charm with modern luxury in the best way possible. Visitors will be staying in one of six luxurious suites in one of the oldest buildings in Germantown; the structure was once a two-story Federal-style home. Boasting of high ceilings and large picture windows, the Germantown Inn also offers their guests an opportunity to relax in their private rooftop terrace or lush outdoor courtyard. Visitors will be mere minutes from Nashville’s extensive collection of boutique shopping centers, award-winning restaurants, as well as Nashville’s own Music City Center. Noelle is an historic Art Deco-style hotel in Nashville, originally opened as the Classical Revival-style Noel Hotel in 1929. The hotel, which has been listed on the National Register of Historic Places since 1984, was used as an office building throughout much of the late 20th century before its conversion back into a boutique hotel in 2017. Today, the 12-story hotel serves as a tribute to the city's yesteryear, reimagined by designers and architects such as D|AAD and Libby Callaway. Beautiful guest rooms and studio suites offer amenities such as custom bath luxuries, private sofas and seating areas, and complimentary delivery morning coffee. 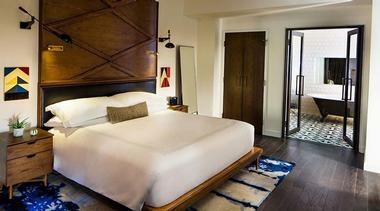 Luxury suites upgrade to dual-access master bathrooms with walk-in showers and soaking tubs. Guests can dine at the hotel's Makeready Libations and Liberation restaurant or enjoy drinks atop its rooftop Rare Bird cocktail lounge. 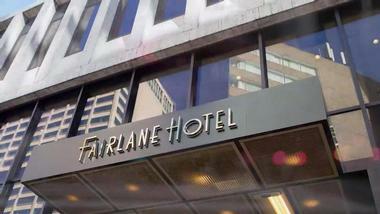 Fairlane Hotel is a retro-modern hotel in Nashville's downtown district, located within walking distance of top attractions such as Victory Park, Bridgestone Arena, and the Country Music Hall of Fame and Museum. The hotel showcases midcentury-style rooms and suites with 1960s and 1970s design elements, floor-to-ceiling windows, and custom faucetry designed by Lefroy Brooks. In-room amenities in all rooms include Euro-top beds with 100% cotton sheets, 55-inch cable televisions, marble showers, and mini fridges stocked with a selection of locally-sourced snacks. 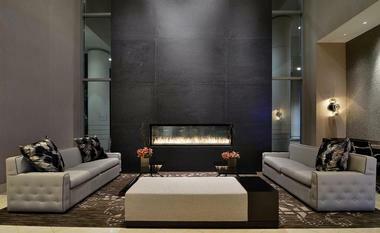 Upgraded suites and penthouses feature kitchenettes, private terraces with fire pits, and luxurious soaking tubs. Guests can dine at the Ellington's Mid Way Bar & Grill, which serves up Southern-inspired entrees, or grab Stumptown coffee at the Union Teller Coffee Counter. Considered Nashville’s original lifestyle hotel, Hutton Hotel has 247 comfortable and well-appointed rooms that visitors from all over the world find comfort in while in Tennessee. The stylish and modern hotel aims to ensure that guests will enjoy their stay, and offers custom bedding, granite bathrooms, and bath products from the enviable Triumph & Disaster collection. When they get hungry, guests can head to the hotel’s very own West End Kitchen & Bar to try inventive cuisine from a menu inspired by traditional Southern ingredients. In addition, Hutton Hotel is renowned for hosting perfectly executed weddings, conferences, meetings, and other events with state of the art technology and high-end service to meet all needs. Ranked as TripAdvisor’s #1 Nashville Hotel, The Inn at Fontanel sits right in the heart of Tennessee. The luxury boutique hotel comprises six unique suites that are all connected by an extravagant 2,700-square-foot wraparound patio. Guests can sit outside and enjoy lovely views of the gardens, courtyard, and Porter’s Pond, complete with waterfall and fountain. The Great Room is an airy common gathering area for all guests, and comprises the living rooms, dining room, and kitchen – where complimentary made-to-order breakfast is served daily from 6:00am to 10:00am. Perfect for romantic getaways and intimate family gatherings, The Inn at Fontanel is a part of the Southern Living Hotel Collection, which features the best accommodations across the South. One of the most cherished landmarks in downtown Nashville, the Hermitage Hotel evokes a feeling of class, and quality to anyone who hears of it. The hotel has played an indelible part in Nashville’s history and has housed many important guests, including former presidents of the United States, Babe Ruth, and Johnny Cash. It is renowned for its distinctive architecture, French Renaissance and classic Italian features, and its memorable beaux arts style, which adds a hint of glamor to each aspect of the hotel, including the lobby, grand staircase, veranda, mezzanine, and ballroom. The Hermitage Hotel has many dining options, serving delicious cuisine that pays homage to historic Southern traditions. One of the area’s most luxurious hotels, Omni Hotel offers guests relaxed, modern comfort in the heart of downtown Nashville. 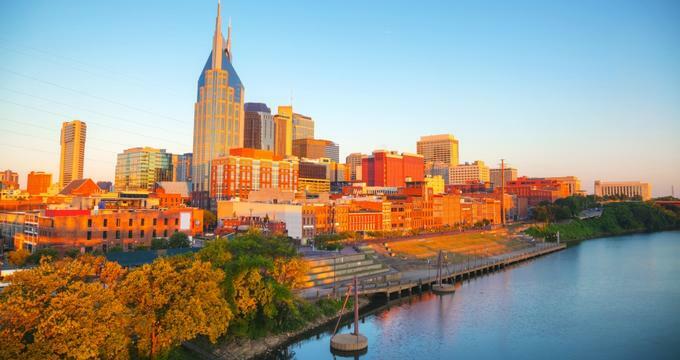 Visitors who are in town to enjoy Music City will find the Omni Nashville Hotel to be the best choice since it is directly connected to the Country Music Hall of Fame and Museum. There are many services and amenities offered, such as a state-of-the-art fitness center, a full-service spa with multiple treatment rooms, and a rooftop swimming pool complete with cabanas, a lounge deck, and stunning views of the surroundings. Other in-house restaurants, cafes, and entertainment venues include Bob’s Steak & Chop House, Barlines, Kitchen Notes, and the Bongo Java Coffee Shop. 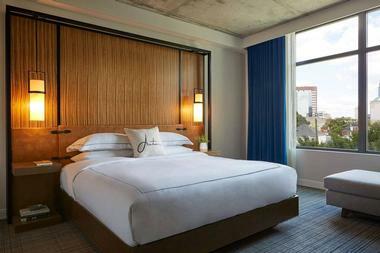 The Thompson Nashville Hotel is a luxury boutique hotel built right into the heart of Nashville’s culture and history. Visitors can choose from among the sleek collection of rooms and suites as well as a penthouse; each of the accommodations is inspired by Nashville’s spirit and is infused with little touches such as sliding barn doors and hardwood floors in the room. Guests can sip cocktails on the rooftop bar while enjoying spectacular views of downtown Nashville or dine on delicious Southern cooking at the Marsh House, a seafood restaurant that sources from local producers and farmers. 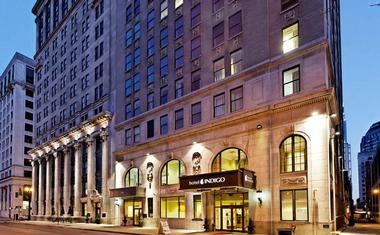 One of the most visited hotels in Nashville, Hotel Indigo can be found right in the heart of downtown Printer’s Alley. The hotel is housed in what was once a bank and remnants of the building’s past can be seen in the hotel, including U.S. Post drops in the hallway. 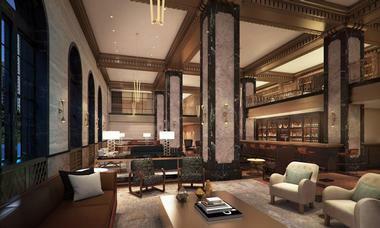 The printer-themed lobby is an all-time favorite with guests and includes its very own library and a speakeasy lounge where guests can witness local artists and songwriters any night of the week. Guests can indulge in some delicious locally inspired cuisine in the hotel’s District Bar and Kitchen for breakfast, lunch, or dinner. 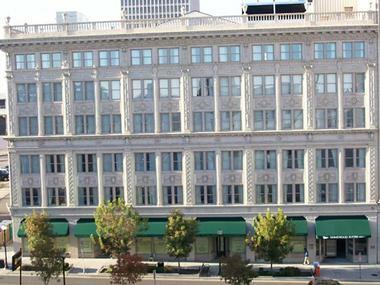 The impeccable location of the Westin Nashville puts guests right in the heart of Nashville’s lively downtown district. 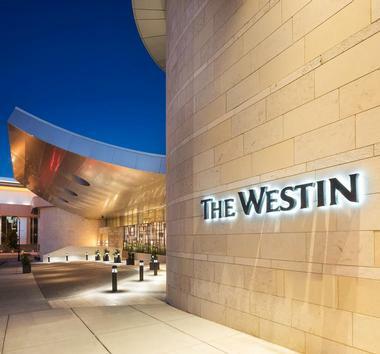 Encouraging guests to be energetic and aspirational, the Westin Nashville offers tranquil rooms and suites with contemporary amenities that will provide guests with modern facilities in a comfortable, home-like setting. Visitors can spend their time rejuvenating in the Rhapsody Spa or dining and drinking at L27, one of Nashville’s premier rooftop lounges and pool bars. The hotel is steps away from the highly sought entertainment district and Music City Center, so guests can venture out and explore everything Nashville has to offer within minutes from the hotel. 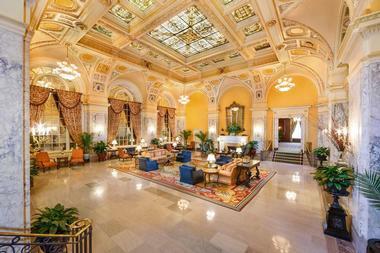 Guests can explore Music City while staying at the iconic Marriott Union Station. Deeply rooted in Nashville’s country music history, the hotel is housed in a stunning 100-year-old restored building that has been a part of many memorable events from Nashville’s past. The combination of luxurious accommodation and award-winning dining has made it a favorite with locals and out-of-town visitors. In addition to the beautiful rooms, delicious food, and perfect location, guests will also be able to experience the classic elegance of the hotel while exploring its Romanesque architecture, which includes a 65-foot barrel-vaulted stained glass ceiling. The Gaylord Opryland Resort & Convention Center by Marriott offers Nashville visitors an extraordinary experience complete with stylish rooms, dining, and shopping right in the hotel. The accommodation is perfect to ensure visitors have everything they need, from pillowtop mattresses and televisions to exemplary room service. Guests are invited to explore the property and enjoy the hotel’s indoor and outdoor pools as well as over 9 acres of lush gardens and cascading waterfalls. Visitors who eventually do leave the hotel’s wonderful facilities will find themselves minutes away from the Gaylord Springs Golf Links, the General Jackson Showboat, the Grand Ole Opry, and the Country Music Hall of Fame. The Aertson Hotel in Nashville lets visitors really immerse themselves into the culture and arts that Midtown is known for. The boutique hotel surrounds their guests with art, academia, and innovation to really allow them to unwind and get their creative juices flowing. Hotel guests are invited to enjoy a neat shot of Tennessee whiskey at the bar or taste the inventive dishes at the chef’s private table. 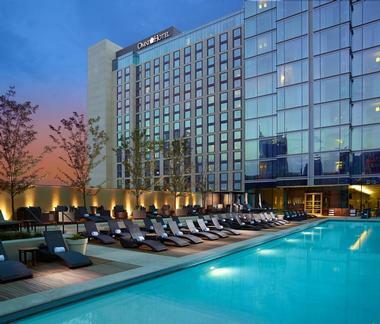 The rooftop pool offers stunning views of the surroundings, including the beautiful Vanderbilt University campus. Nearby attractions include the Nashville Songwriters Association International, the Country Music Hall of Fame and Museum, Bridgestone Arena, and The Gulch – Nashville’s entertainment and nightlife hub. 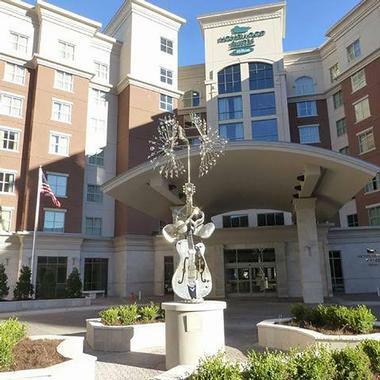 The Nashville Vanderbilt Homewood Suites by Hilton is the epitome of hospitality and convenience during a vacation to the home of country music. Easily accessible to hospitals, attractions, and other entertainment options, guests who don’t feel like walking can use the complimentary shuttle service. Guests can choose from a studio or one or two-bedroom suites, which include a separate living area, a fully equipped kitchen, and complimentary breakfast and internet access throughout a stay. Perks for those staying at Homewood Suites include an indoor swimming pool, a fitness center, an on-site 24-hour convenience store, and a complimentary evening social to unwind after a day of exploring. 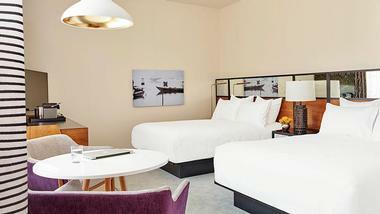 The Renaissance Nashville Hotel by Marriott puts guests within walking distance to some of Nashville’s premier downtown attractions; visitors can head to the Country Music Hall of Fame, the famed B.B. King’s Blues Club, or walk through the historic Second Avenue District. There’s no better way to discover one of America’s top travel destinations than with the comfort and attentiveness offered by the Renaissance Nashville Hotel. At the hotel, guests can get comfortable in the spacious and well-appointed rooms and suites or enjoy a hearty meal at the hotel’s Commerce Street Grille. Other facilities include wireless internet, a swimming pool, a fitness center, and a large meeting or event space. With 339 luxurious guestrooms, including nine suites, the Loews Vanderbilt Hotel combines Nashville’s old traditions and history with its new modernity. Guests will be minutes away from some of the city’s most renowned attractions, including the famous Country Music Hall of Fame. Guests will feel so comfortable in the hotel, they’ll never want to leave though; the Club Level rooms and suites have additional amenities visitors can access, such as a continental breakfast, evening appetizers, and a nightcap. Other hotel features include Mason’s, a distinctive restaurant serving Southern favorites with a European twist, and Mason Bar, which has crafted cocktails and local beers in the friendly environment for which Nashville is known. Homewood Suites in downtown Nashville is an all-suite hotel that can be found right in the middle of all the music, entertainment, and nightlife that make Nashville great. Though the hotel is perfect for all guests, business or leisure, the amenities offered are perfect for extended stay guests who need the comforts of home and the modernity of a hotel. Each suite has two flat-screen televisions, pull-out sofa sleepers to accommodate family in addition to a king or queen-sized bed, and a full kitchen complete with refrigerator, stove, dishwasher, microwave, and coffeemaker. Other perks include a complimentary grocery shopping service, a full breakfast, and a 24-hour on-site convenience store. The Hilton Nashville Downtown offers their guests true Southern hospitality and premier accommodation in this lovely Hilton hotel. 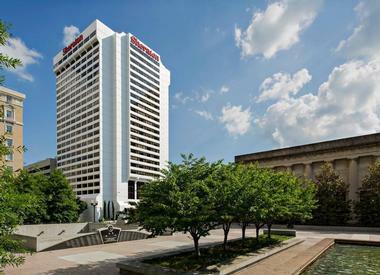 Right in the middle of everything there is to see and do in Nashville, the Hilton Nashville is one of the best places to stay while guests enjoy learning about the history of country music and see the many live performances available in the entertainment district. There are four on-site dining options, a full-option fitness center, a modern executive lounge, and a large, flexible meeting space for visitors to utilize and enjoy. 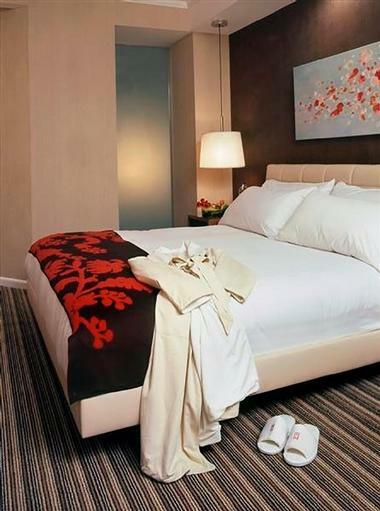 The award-winning all-suite accommodation is one of the best options that tourists in Nashville will come across. With 482 stylish rooms, inclusive of ten suites, the Sheraton Grand Nashville Downtown is one of the premier hotel destinations in Tennessee. From basic services, such as offering wireless internet access and allowing pets, to being completely wheelchair accessible and having a full-access fitness center and a swimming pool, the hotel is one of the best options during a trip to Nashville. The dining options include Broadway Kitchen and Library Bar, both serving delicious American-style cuisine using fresh, local ingredients. Other guest services include concierge, laundry, dry cleaning, luggage storage, safety deposit boxes, and the Sheraton Club Lounge, which has complimentary breakfast and afternoon hors d’oeuvres. Daisy Hill Bed & Breakfast is housed within a classic Tudor revival style home that was built in 1926. 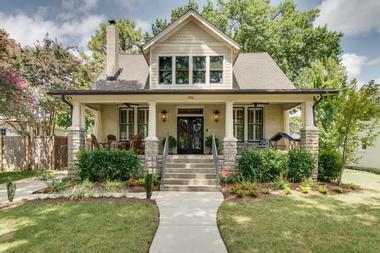 The B&B can be found in Hillsboro Village, which is listed on the National Historic Registry of Places. Guests can choose from one of three rooms, each of which have been decorated in a distinctive European style. They will not want to leave the beautiful Daisy Hill, with its large family-style dining room, comfortable living room complete with fireplace, and library fitted with a gorgeous 100-year-old desk. The B&B also has a 115-year-old piano, which guests are known to socialize around and play a fun tune on in the evenings. 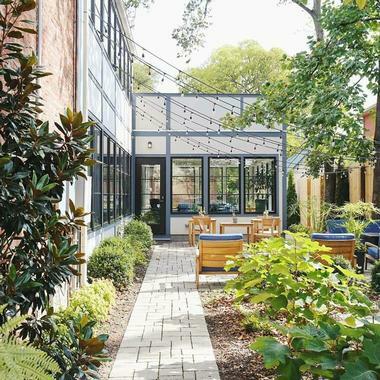 Caroline House is a charming boutique inn that provides its guests with an authentic local Nashville experience. Owned and run by a lovely couple, Ashley and Michael, guests will also get to meet and hang out with the house dog, Desti. The inn is located in the Waverly Place Historic District, which is listed on the National Registry of Historic Places, placing guests right in the heart of one of the most stunning neighborhoods in Nashville. Though visitors will be mere miles away from the Music City Center, Bridgestone Arena, downtown Nashville, and other attractions, they’ll never want to leave the inn’s luxury suites with private baths and high-end amenities.